When I first heard about this book at BEA, I was incredibly stoked about this book. I was even more AHHHHH when I actually met Ellen Herrick and heard her talk about THE SPARROW SISTERS. So, but, sometimes I have this bad unavoidable habit of building a book up to much in my mind. And this book had been built up to pretty epic proportions. So, as I sat down to read- I was a bit worried. Magical realism and I do not always have the smoothest relationship. I started with THE SPARROW SISTERS and I would read a bit, then feel the need to take nap. It was like the sweet words, the phrasings were singing me a sweet lullaby because I wasn’t bored- I was just lulled into a sweet dreamworld where there are places like Granite Point just waiting for me to discover them. Patience and Henry. Both needed each other for various reasons and both were fighting it for various reasons. Reminded me of the Sandra Bullock/Aidan Quinn dynamic in PRACTICAL MAGIC. How the Sisters were so involved with each other. The way each chapter began- with a little note at the top. And how Ellen Herrick teased us readers at the end. I do think it could have been slightly shorter- I was drawn into the world- but a few pages shorter might have kept me feeling super-sweet about the book! How certain characters were unfair to the Sisters. Bottom line: A sweet debut and one I would say you should consider for reading! 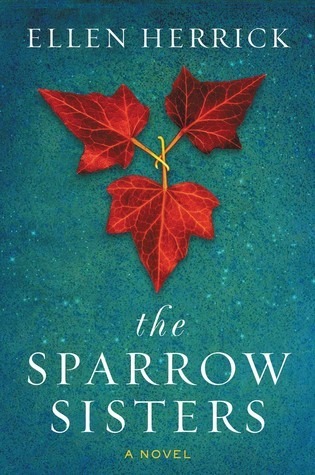 *The Sparrow Sisters was sent to Traveling With T for review consideration. All thoughts and opinions are mine alone. I’ve only read 1 of SAA’s books- but I do think it’s more SAA-ish than too much magic. The way Ellen describes the area always reminds me of some of my fav Southern writers! I have this on my tbr list. I also have the habit of building a book up so much that sometimes when I do finally get to it, it doesn’t meet my expectations. YESSSSSSSS! I do it all the time! It’s so hard to stop! I completely understand your feelings. I am curious to see if a sequel will happen- and I think she set it up perfectly!